To listen to it is to be plunged into a maelstrom of conflicting emotions. Songs are drenched in strings and sweet sentiment one minute, starkly played and downcast the next. No pop song has ever bottomed out more than Holocaust, an anguished plaint sung at a snail’s pace over discordant slide-guitar fragments and moaning cello. Here’s my take on Third. It’s a mess, and only a couple of songs reach the standards of the band’s best work. 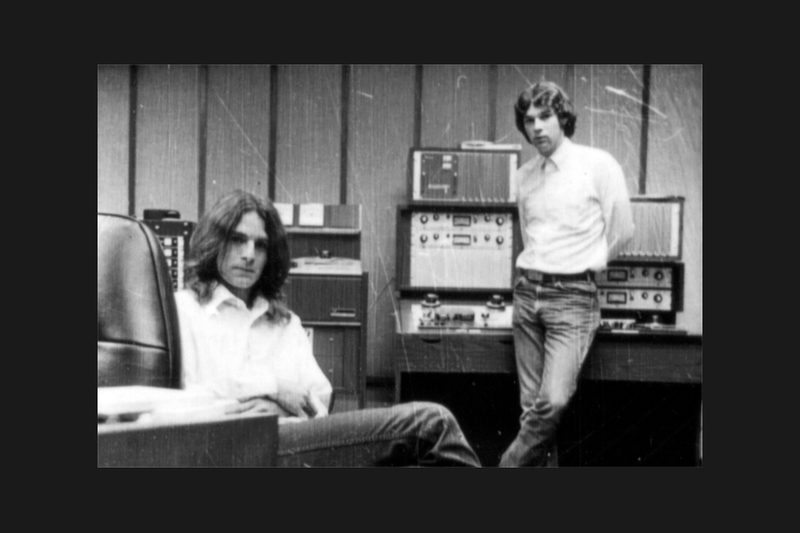 The myth of Alex Chilton the Unruly Genius is just that, a myth: in the early years of Big Star at least, Chilton was a disciplined craftsman, but that was an image he didn’t care to project (and besides, that image doesn’t appeal to jaded music critics). But it was Chilton the craftsman who gave us the Ballad of El Goodo, Give Me Another Chance, Thirteen and Watch the Sunrise, all of which are absolute classics of their type. Songs like Ballad of El Goodo don’t happen without work. A lot of it. Which brings us to the other way to approach them: through the first album, #1 Record, from 1972. This is the one that the Posies, Teenage Fanclub, Matthew Sweet, the Bangles and Elliott Smith owed so much to. This is the one that first made cool the idea of mixing 1965-era Beatles-style songwriting with big drums and guitars that were jangly, but loud, with an edge to them, guitars so sparkly they’re almost harsh. This version of Big Star were responsible for the lion’s share of the band’s enduring songs. This version of Big Star had two singer-songwriters, and it was the push and pull between Chilton and Chris Bell, author of My Life is Right, that made #1 Record such a fine record. Without Bell to bounce off and to provide nearly half the songs, Chilton struggled to pull together enough strong material for a whole album. Bell shared Chilton’s Beatles obsession, but was a more damaged, less hedonistic, individual. Depressed by the commercial failure of #1 Record, dependent on heroin and, it has often been said, conflicted about his sexuality, he seemed destined for a bad end. He met it, at the wheel of a Triumph TR-7. He cut a classic single after leaving Big Star (I Am the Cosmos/You and Your Sister), which is known to later generations though This Mortal Coil’s cover of the B-side (with vocals by Kim Deal and Tanya Donelly) and the inumerable covers of I Am the Cosmos. But not enough people talk about how great his contributions to #1 Record are: his vocal on Don’t Lie to Me is the album’s most startlingly aggressive moment; Try Again is a beautiful, weary song, beaten down but ready to start over, refusing to give in; My Life is Right is his most joyful song, and maybe the band’s. There’s nothing more grin-inducing than Chilton and Bell straining to hit their high notes on the line “You are my day” in the chorus while drummer Jody Stephens plays bubbling triplet fills on his snare and rack toms. And what a great drummer Stephens is – I could write a book! I can’t recommend #1 Record highly enough. Radio City and Third/Sister Lovers certainly have their moments, but for me they’re the work of another, inferior, band. The first version of the group were less mythic, but a lot more consistently rewarding. This entry was posted in Music and tagged #1 Record, 12-string guitar, Alex Chilton, Ballad of El Goodo, Big Star, Chris Bell, critics' favourites, Don't Lie to Me, drummers who can drum/singers who can sing, Elliott Smith, Give Me Another Chance, harmonies, I Am the Cosmos, indie, jangle, Jody Stephens, lo-fi, My Life is Right, Parke Putterbaugh, Posies, power-pop, Radio City, Teenage Fanclub, The Beatles, Third/Sister Lovers, Try Again, Watch the Sunrise, You and Your Sister on March 6, 2014 by rossjpalmer.